Accidents can happen in the blink of an eye, but the damage that’s left behind can last a lifetime – especially when you were hit by a truck and trailer that weighed 80,000 lbs. Trucking companies may have seasoned insurance adjusters backed by teams of company lawyers who rush in to clean up their mess after a wreck. When you’ve been injured in a wreck with a big rig, a Muskogee truck wreck attorney can be there to help make sure your interests are protected. A truck wreck can create a big problem if you don’ t have someone on your side from the moment the accident happens. Trucking companies may push drivers beyond their limits, or individual owner operators may cut corners to expand narrow profit margins. A sleepy driver, poorly maintained semi or overloaded rig can have dire consequences for motorists who might be in their weay. According to the Oklahoma Highway Safety Office, in 2011 there were 4,731 traffic crashes involving large trucks. That’s a 5 percent spike in truck wrecks compared to the data from the year before. In those big truck accidents, 1,929 people were injured. Fatalities resulted in 13 percent of the large truck crashes in the most recent data provided by OHSO. The reason we bring up those chilling statistics is because wrecks are happening more and more often in the state. 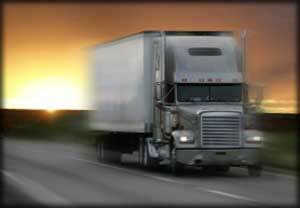 When you’ve been injured in a truck wreck, your insurance company could represent both you and the trucking company. Whatever insurance company represents you, their interest is naturally to keep payouts to a minimum. They might not go looking for those extra expenses you’ll face down the road, or dig deep to see what might have caused a truck to smash into you. With so much at stake, it’s important to have an ally who only represents your interests. When catastrophic injuries resulted from a truck accident, the expenses can roll in for a lifetime, but one signature on the back of a settlement check can forever end your opportunity to be fully compensated. A Muskogee personal injury attorney knows how to assess costs, review causes and make a case for full compensation when you’ve suffered a catastrophic loss that was someone else’s fault. For a free consultation with a Muskogee truck wreck attorney, call the Wirth Law Office at (918) 913-0725, or call toll-free at 1-(888) 447-7262 (Wirth Law) or submit the question form at the top right of this page.